Central Christian Church - New? 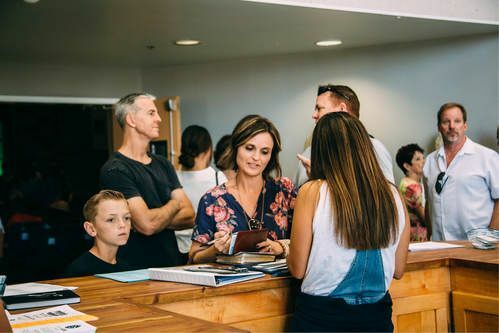 We know that visiting a new church can often be intimidating so don’t worry, we won’t ask you to raise your hand as our guest or do anything that will embarrass you in any way. The coffee is on us, our band will play a few songs and each week’s message lasts for about 35 minutes. What times are church services? Our weekend fashion ranges anywhere from shorts and flip flops to suits and ties. You do you! We have convenient parking on Ave J and on 32nd St W. (32nd is the best lot if want to take your children to the Kids' building). Our Children's Ministry is pretty awesome! You can read more about it below. Your children are in the best hands at Central. All of our staff has been fingerprinted, interviewed and most importantly they care about your child. Your child's safety is top priority for us. Children newborn thru 2 years are cared for at the nursery in our Worship Center. Children 3 years thru 6th grade will love our Central Kids' building. It's fairly common for some kids to kick and scream to stay longer!